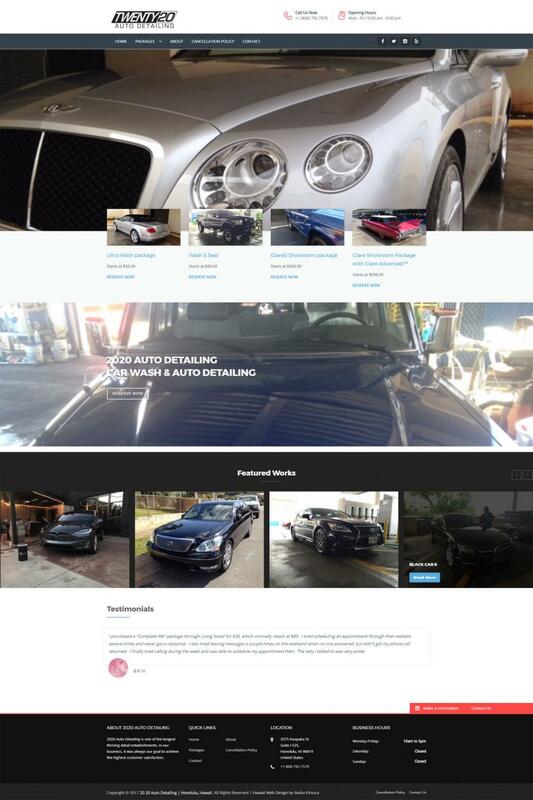 We are a professional auto detailing company in Hawaii that provides the best work for your hard earned money. We complete a 42 point checklist that ensures excellent service and quality work. Here at 20 20 Auto Detailing, we provide many services that the market has to offer with competitive pricing. We also offer maintenance programs to assist you with your busy schedule that will keep your car looking new for a long time.